The Choi Implanter is a pen-like instrument with a hollow needle on one of its ends. Technicians at the operating room load extracted hair grafts into the hollow needle end. The surgeon then uses the pen to implant the pre-loaded needle into the scalp. This process is then repeated for every single graft. During a typical transplant, Dr. Puig and the team utilize about 5 pens interchangeably to optimise the implantation time and pace. The use of an implanter pen eliminates the need for channel incisions. Previously, the operating team would need to create tiny circular incisions on the scalp and plant grafts inside these channels. Surgeons can now “inject" grafts directly into the recipient zones. This decreases trauma and blood loss during the transplant. A major advantage of the Implanter Pen technology is the ease of increasing hair density by planting grafts between existing hairs. Many patients, who were seeking a transplant as a remedy for thinning hair, were put off by the requirement to completely trim off the hair prior to the transplant. This was a requirement when using the micro-motor to create channel incisions before re-planting the donor grafts. With the Implanter Pen, hair on the recipient areas no longer needs to be completely trimmed off. The Choi Pen can be used to “inject" donor grafts between existing hair follicles with ease. Implanting this way has another major advantage: when grafts are re-planted between existing hairs, the surgeon can clearly see the natural angle of hair growth and can perfectly position each donor graft to exactly match the existing ones. This also eliminates the risk of planning grafts too close to existing hair, giving the patient unrivalled graft regrowth rate. Using the Choi Implanter Pen also significantly reduces the time it takes for a hair transplant. 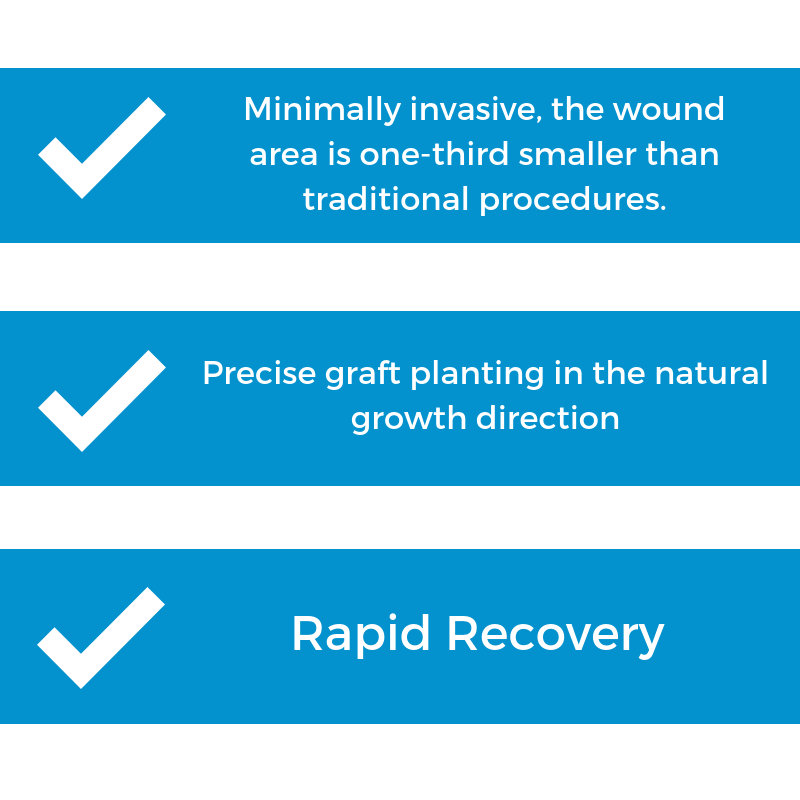 Using this technique we can transfer more grafts per session than the old technique used by other surgeons. 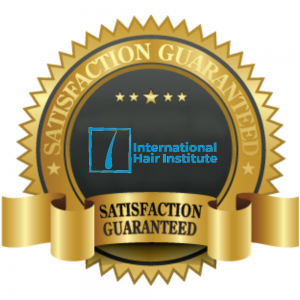 Here at International Hair Institute natural looking results are guaranteed .